OnePlus is gearing up to release its next flagship, the OnePlus 6 sometime this month or possibly next month. CEO Carl Pei had shared the first official image of the OnePlus 6 last month revealing a small portion of notched screen design. Now a new image showing the entire front design of OnePlus 6 has appeared on Weibo. The image features the brand logo of DxOMark, the popular camera benchmarking platform. As seen from the image, the side bezels of the flagship smartphone are pretty thin, and the chin is slightly thick. 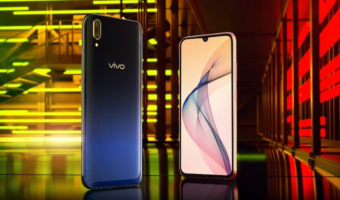 The top bezel comes with a notch which features the LED notification indicator, a selfie camera and an earpiece. 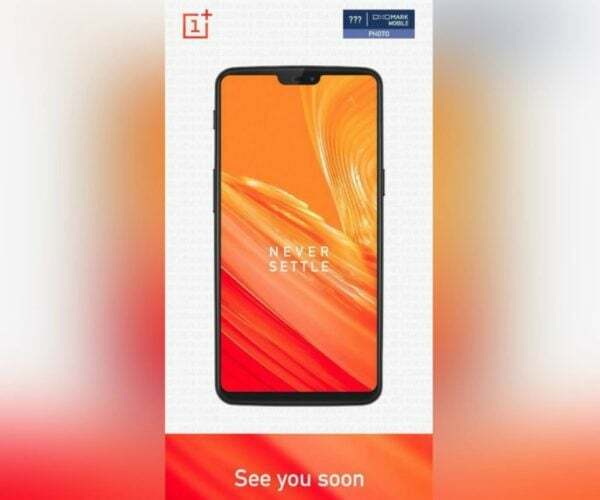 The “see you soon” caption at the bottom indicates OnePlus 6 is arriving soon. 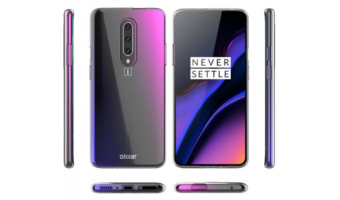 The leaked render is similar to the earlier images of the OnePlus 6 that have appeared in the past. It reconfirms the OnePlus 6 display will come with 18:9 aspect ratio and feature screen to body ratio as high as 90%. In addition, some fresh renders on Weibo also showcase the OnePlus 6 in three colour variants. 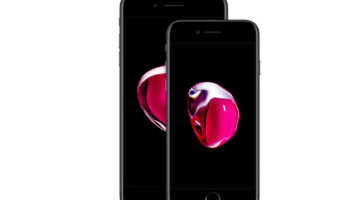 The renders show the smartphone in three colours — blue, black and white. The new leak also hints glass-based design for the rear panel unlike the metallic build in the current generations. The rear panel also confirms the presence of dual rear camera setup. Unlike the past iterations, the OnePlus 6 comes with vertically aligned dual camera sensors and a LED flash is placed below this sensors. Lying just below the camera and LED flash module is the distinct looking oval shaped fingerprint scanner. As for the specifications, Carl Pei had previously confirmed Qualcomm Snapdragon 845 chip would power the smartphone. The company is expected to offer 8GB of RAM and 256GB of storage in the top variant of the OnePlus 6. The phone will sport a 6.23-inch AMOLED display similar to the previous OnePlus 5T. As for optics, a 16MP+20MP rear camera is hinted along with a 20MP selfie shooter. It will come with Cat.16 Gigabit LTE modem and dual-band Wi-Fi 802.11ac and get Qualcomm’s latest WCN3990 Wi-Fi modem. A 3450mAh battery will fuel the device, and it will likely run Android Oreo 8.1 when it releases. Now we are talking something, look at these specs at a price of 34000 and compare that what you get at a price of 17000. 845,6CA this is 2018. Yes that’s good. But what we need is 3CA coming to phones under 15k. The cheapest phone with 3CA is 28k, Samsung Galaxy A8+ on Amazon. They’ve gotta lower the prices. Waiting for the launch price of the Zenfone 5, which uses the snapdragon 636, and actually supports 3CA, 600Mbps Cat 12. Dunno about upload speeds, but I expect it to be around 150Mbps. Kiran, yes 3CA should be a mid range budget phone essential feature, specially 15000-25000 bracket. 2CA is already available below 15000 with lenovo. Which network gives you 4CA, 5CA,6CA?? So 3CA is still a premium feature to sell….only in 2019 it will be enabled in budget phones. Zenfone 5 won’t be lesser than 25000 for sure!!!!! Nobody is going to buy it for sure!!!! I hope company like Xiaomi comes in India with stock Android software!!!!! Same design of OPPO F7.